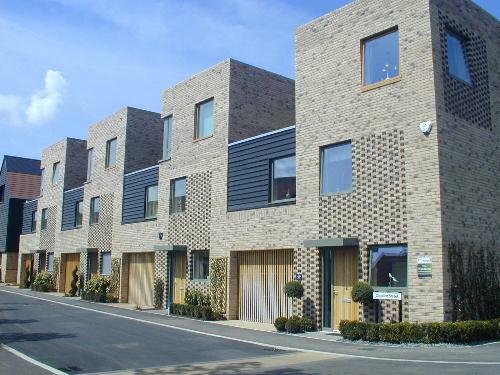 The first houses to be occupied on the Clay Farm site, called Great Kneighton by the developer, located in the south of the city. Many residential developments in Cambridge contain almost all flats, and it is good to see some actual houses being built. The roof terrace is an interesting touch, even though they all have walls on two sides except for number 8 at the left.